Applying pressure to a wound is the first step toward the healing process. This could be something as simple and commonplace as getting a vaccination or having blood taken where the pressure is simply applied by a finger. For a more life-threatening wound, a tourniquet might be required. But how much pressure should be applied? For hospitals an Automatic Tourniquet System provides a means of monitoring and controlling the applied pressure. In an operation, equipment such as the Zimmer A.T.S. 3000 uses LOP technology to sense, calculate and report the cuff pressure necessary for complete blood occlusion in the operative limb. Applied to the index finger or second toe of the patient’s operative limb prior to the surgical procedure, the LOP sensor in the A.T.S. 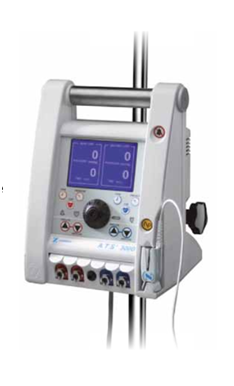 3000 provides a recommended tourniquet pressure (RTP) setting in approximately 30 seconds. Personalized Pressure™ Technology in Zimmer’s Tourniquet System, such this A.T.S. 3000, delivers the minimum amount of tourniquet pressure at a specific time, with a specific cuff, for a specific limb. Image courtesy of Zimmer Biomet. Numerous applications rely on pressure to work properly. The specific working or operating pressure may vary greatly between applications and it often must be maintained within a reasonably narrow window for optimum performance or to stay within a safe range or below a maximum value for safety. Working properly versus improperly and even under abnormal conditions has implications as well for pressure. For pressure vessels, especially those in industrial applications, the terms maximum allowable working pressure (MAWP), and design pressure are used. The design pressure is determined from its maximum operating pressure (MOP) which is typically increased by some margin to handle potential pressure surges. 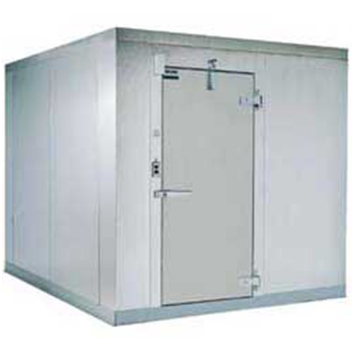 In contrast, MAWP is the maximum pressure at which the vessel or equipment is allowed to function at a specific temperature and, in some cases, is determined by design codes. 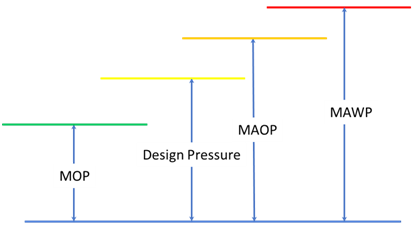 Maximum Allowable Operating Pressure (MAOP) is another pressure limit, usually established by a government body, that is less than the MAWP. To be safe, the pressure could be monitored in the application to alert an operator or execute an automatic shutdown if an unsafe condition is reached.